Lorraine, as you probably don’t know, has this thing about paper. 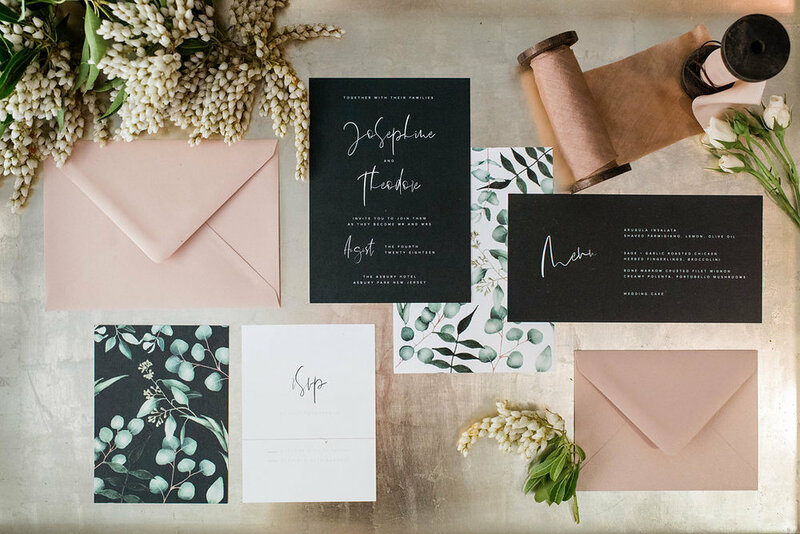 A talented graphic designer by day and a font hoarder by night, she is a traditionally trained fine artist and former marketing director available to sketch, paint, letter or print just about anything. Clean and modern yet elegant and classic is our design sweet spot, but we will work in any style - from a romantic watercolor wedding invitation suite tied with a hand-dyed velvet ribbon to a super contemporary laser engraved lucite menu. 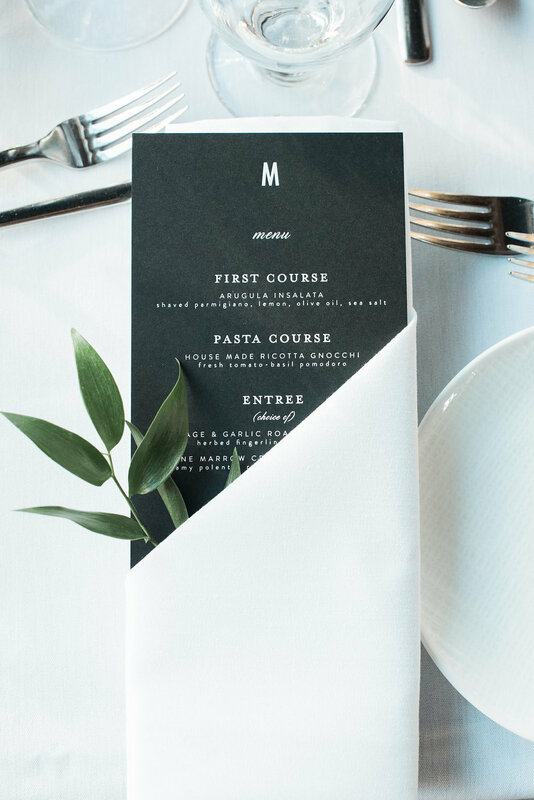 Providing complete art direction, we treat each event as a mini marketing project, tailoring a branding story to compliment the overall event design concept. From custom logos and color palettes to unique font selection, we will ensure the environment we’ve painstakingly tailored for you is reflected throughout each little detail. You can be sure the name tag on the welcome bags coordinates with the coasters at cocktail hour. Trust us, it’s important.